“Drink plenty of water” is a message that we are all very familiar with, and we know the many benefits to be had when we give our bodies this vitally important drink from nature. Some people though may be a little unsure as to which water to drink. With so many different brands of water available on the market alongside tap water and water filters in the home, one can be forgiven for feeling confused. This article will shed some light for you. While drinking any of the water available on the market today is certainly better than not drinking water at all, the kind of water that truly offers your body many benefits is spring water. Some people actually shy away from the idea of drinking spring water because they believe it may be unclean and therefore unhealthy when in fact nothing could be further from the truth. For a start, the most obvious benefit of spring water as opposed to tap water is the lack of chemicals. Tap water is often packed with chemicals such as chlorine which can be cancerous to our bodies. Spring water also has naturally occurring minerals that are healthy for our bodies, such as calcium and magnesium. Both of these minerals are very important for the correct functioning of our bodies and minds. Because spring water is derived from a natural source, we can trust it to be purer and cleaner than our tap water, which has come through pipes that can be rusting, contain harmful bacteria and possibly cause us to become ill.
Because of its obvious health benefits over regular tap water, spring water is also fantastic for flushing you out and ridding your body of toxins. Your immune system will be better equipped to deal with bugs such as colds and flu and your physical and mental state will be more energised. If you’re still not convinced that spring water is by far better for you than tap water, then consider the taste. 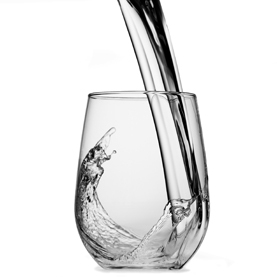 How often have you been given a glass of tap water only to be thoroughly disappointed with the flavour? How often then have you decided to drink juice or soft drink instead just to avoid that taste? These alternatives are certainly not the better choice. The better choice, the logical choice, is to choose spring water. You can find a reputable supplier who offers the highest quality home and office water dispensers for a small cost. All you need to do is make that call and see for yourself. This entry was posted in Drinking Water, Water Filters & Purifiers, Water Health and Safety (OH&S) and tagged spring water by Teala. Bookmark the permalink.